Enjoy emoji's on your mac. 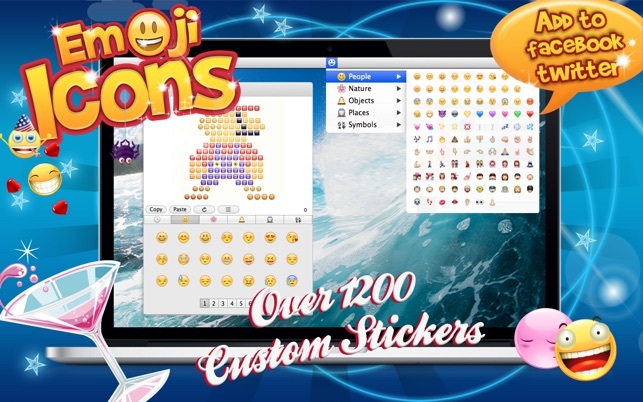 This app will you give you access to over 1000+ emoticons that can be used on your mac. It works with applications such as SMS, E-Mail, Notes, Contacts, Web Browser, Calendar and any other text-input application which supports emoji's.